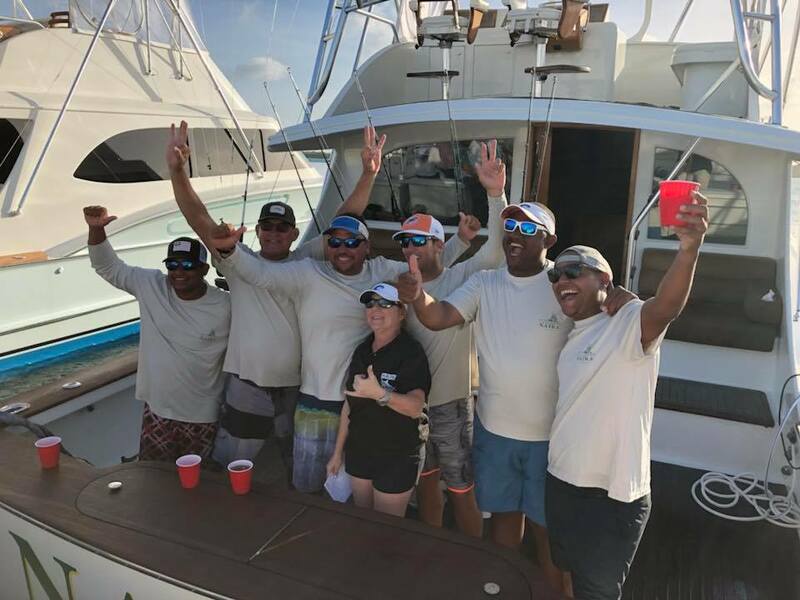 Huge congratulations to Team NAIRA and Captain Jimmy Marin aboard the 57’ Paul Mann for once again winning the Presidential Aruba Caribbean Cup with 1900 points including a grand slam the final day! 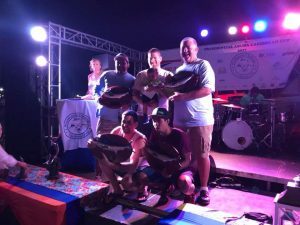 Team NAIRA has won the Aruba Caribbean Cup four of the last five tournaments – Top Boat! In spite of some of the roughest seas, it was an incredible tournament! Bincho Mansur is owner of NAIRA but was busy running a triathlon during the tournament! There was plenty of competition however in this Aruba leg of the Presidential Challenge as team ALINA with captain/Owner Eric Mansur aboard the 58’ Paul Mann scored 1700 points to come in a very close second against a very competitive fleet which included many of the top fishing boats and teams in the Caribbean. Once again, the Paul Mann boats, captains and teams proved very hard to beat. 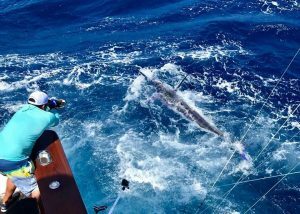 Overall, 17 blue marlin, 23 White Marlin, 24 sailfish were caught by the Fleet The Caribbean Cup is the premier marlin tournament on Aruba the ‘One Happy Island.” The tournament takes place out of Varadero Marina and is a charity tournament for the benefit of the Billfish Foundation. The NAIRA team included Jimmy Marin, Bancho Mansur, Ricky Croes, Carlos Isaza and Yilson Iriarte. Bancho won the best Angler at the earlier Bucuti Tournament and Yilson was top angler at the Presidential tournament! ALINA’s team anglers include Captain/Owner Eric Mansur, Eric Mansur, Jr., Christian Mansur, Rafael Fucho Roja, and Jose Pelicano Guanipa. Again, congratulations to both fishing teams and these great Paul Mann boats!